Tom Whalen is a novelist, poet, critic, short story writer, and (since 2008) visiting professor of film at the Staatliche Akademie der Künste in Stuttgart — his essay on Lola rennt (1998; Run Lola Run, 200) is wide ranging in its allusions and compelling in its insights, and serves as an example of his writing inthis discipline. It is his critical fiction work in prose and verse in the form that caught your correspondent’s attention, namely “On Henry James’s ‘The Great Condition’” in the current issue of Marginalia. 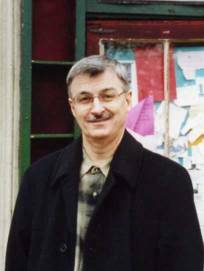 His most recent book is a work of criticism (not critical fiction) published by the Dalkey Archive Press, The Birth of Death and Other Comedies: The Novels of Russell H. Greenan. His website is http://www.tomwhalen.com. HW: Would you be amenable to answering a few questions about the critical fiction form and how it fits with your writing, for use on the CF Forum? HW: Nothing onerous, I hope. I guess I am as interested in the why? underlying the critical as in the technical choices you make in your writing. TW: Das ist eine gute Frage: why the critical mode? It’s fun; it doubles (at least) the capacity of one’s brain; it offers strange, deviating paths for a fiction to follow. I also appreciate its defiant, transgenre stance, which frees me to experiment. Or maybe it’s as simple as: I read a lot, and sometimes I like to write fiction about what I read. HW: Wendy Walker has observed that some of your other stories are very similar to your critical fictions. Is this a case of same well, different shape bucket? TW: Not quite. I’m not sure which stories exactly Wendy Walker has in mind, but, yes, in, say, the Encyclopedia Mouse Quintet (Books III-V have yet to appear) I critique genres, parody styles, insert essays and philosophical musings, use writers and philosophers — Wittgenstein, Walser, Hegel, Poe, Heidegger (EM’s bête noir), Swift, Homer, etc. — as minor but important characters. 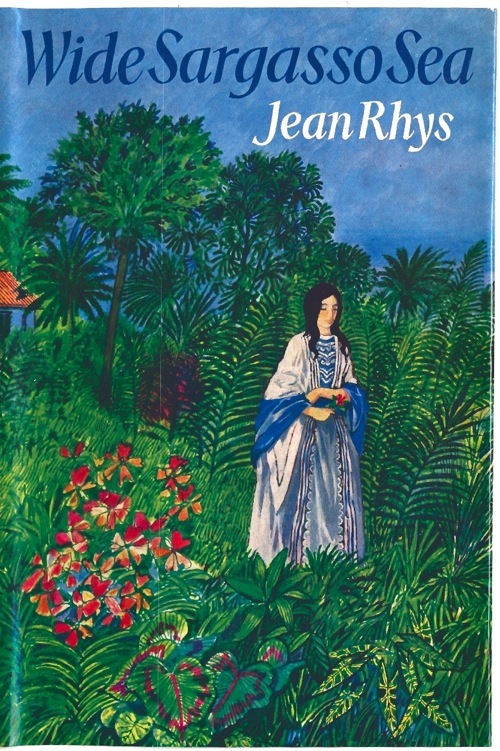 I’ve also published several essayistic fictions like “In the Restrooms of Europe” (Yellow Silk, and in the anthologies The Book of Eros and Brief Encounters), “Louisiana: A Gay Essay” (Fiction International), “Le Nouveau Roman” (Report from the Dump, Obscure Publications), the story as personal article (“Conversations with Godard,” Agni), and several works that to me are more essay than fiction, but still both. “Is your piece ‘The Europeans’ nonfiction or fiction?” one editor asked. I answered that it was about 85% nonfiction, but that the remaining 15% makes me call it fiction. He quickly rejected it. And then there’s the out-of-the-box (or in-the-wrong-box) comic novel I wrote with Daniel Quinn, A Newcomer’s Guide to the Afterlife: On the Other Side Known Commonly as “The Little Book” (Bantam, 1997), which employs a host of nonfictional forms and strategies. So regarding some of my fiction, Wendy Walker is right, but it’s not always drawn from the same well. HW: Does your approach to composition of a critical fiction differ from the writing of other stories? TW: Yes, especially when you consider that most of my stories, whether realistic or fantastic, are more strictly character-centered. Recent stories such as “Rudolph’s Story” (Fiction International), “The Children Beneath My Window” (Ninth Letter), “The Effect” (The Literary Review), “The Installation” (Green Mountains Review), “Apotheke” (Southern California Review), “From the Life of a Project Manager” (New Ohio Review), “German Female, 27” (Natural Bridge), “My Neighbor” (The Hopkins Review), and “My Father’s Coat” (Agni) neither partake of nor parody critical strategies. Certain structural principles and dynamics stay the same, yes, but the mode of narration is different. HW: And your literary and film criticism, any similarities with your critical fiction? TW: Clearly they’re not fiction, but I try when possible to make my critical prose as lively, albeit not as imaginative, as my critical fiction. In my essay on Conrad’s “An Outpost of Progress,” written for a teacher’s manual to an anthology of post-colonial short stories I co-edited with Angelika Hoff, I couldn’t take a bike ride with Conrad in the middle of my analysis, but in my critical fiction on the same story, “Carlier and Kayerts” (Witness), I did. HW: Do you intentionally set off from a source text or do you find yourself drawing such material into a work of fiction as it emerges? TW: Both can happen and have. HW: You seem to come back to the work of Henry James and Robert Walser as subjects for critical fiction. What prompts this? TW: Because they were both born on April 15? I love the demands these two masters make on me as a reader, how both of their works (I’m thinking of late James when I say this) track and remake consciousness with their syntax. My relationship to their works has been long-lasting, intense and thus personal. Writing critical fictions with James or Walser as the subject is, in part, a way for me to pay homage to what they continue to give me. HW: Who else are you reading? TW: During the past two weeks I’ve read the prolific Argentine short novelist César Aira’s The Seamstress and the Wind and Spanish novelist Enrique Vila-Matas’s Never Any End to Paris, both just out with New Directions. (The three novels in English by Vila-Matas, by the way, are good examples of the novel as critical fiction.) And I read Animalinside, a novella by the Hungarian László Krasznahorkai with art by Max Neumann, a German painter (New Directions), and Mark Ford’s translation of Raymond Roussel’s long poem New Impressions of Africa (Princeton). Before that I had just come back from teaching a block seminar in Freiburg on American Crime Novels (1946-1969), my reading or rather re-reading for which included In a Lonely Place by Dorothy B. Hughes, The Long Goodbye by Raymond Chandler, A Rage in Harlem (For Love of Imabelle) by Chester Himes, We Have Always Lived in the Castle by Shirley Jackson, The Killer Inside Me and Pop. 1280 by Jim Thompson, and The Tremor of Forgery by Patricia Highsmith. Next up: Mark Polizzotti’s new translation of Roussel’s novel Impressions of Africa (Dalkey Archive) and an online translation of Thomas Bernhard’s Ungenach. And of course I’m eager for October to arrive, when New York Review Books will bring out a new collection of Walser’s prose, Berlin Stories, translated by Susan Bernofsky. “Henry James.” Northwest Review Vol. 41, No. 2 (2003), 124-25. “On Henry James’s ‘The Great Condition.’” Marginalia 5, 89-90. “Carlier and Kayerts.” Witness Vol. XXII, 101-02. “Maisie.” Coe Review Vol. 37 No. 2, Spring 2007, 4-11. Twenty-Six Novels. Black River Falls, WI: Obscure Publications, 2001. Walser Wandering. Black River Falls, WI: Obscure Publications, 2009. (“Herr Walser on a Stroll Encounters Monsieur Satie Striding,” “Walser Wandering”). “On Robert Walser’s Birthday.” Crosscurrents Vol.5, No.3, 87. Maryland Poetry Review Vol.1, No.3, 6. From a Bend in the River: 100 New Orleans Poets. Kalamu ya Salaam, ed. New Orleans: Runagate Press, 1998, 209. Winter Coat. Red Dust, 1998, 7. “From Eleven Novels (“Rendezvous in Erlangen,” “The Bicycle and the Canary,” “Moon Story”). Sentence 8, 115-16. (“Lake Sketch for Little Girls.” Alice Redux. Richard Peabody, ed. Arlington, VA: Paycock Press, 2006, 317-319. On Carroll’s ‘Alice’. “Le Nouveau Roman” (Report from the Dump. Obscure Publications, 2001, 1-3). This post on the CF Forum takes the form of a brief self interview by Wendy Walker and Henry Wessells, on the subject of the writings of Argentine writer Jorge Luis Borges (with citations from his work). What aspects of the writings of Borges are most relevant to the critical fiction? Wessells : Extreme concision, erudition and the certainty that careful scrutiny of the written text is both meaningful and revelatory. Walker : Besides the ones you mention, which are basic, I would add (with the caveat that the first two do not appear in every critical fiction: a) the recounting of scholarship as a series of magical mini-narratives and forms of imagination; b) a juxtaposition of the target text with texts outside the western tradition, especially Chinese, Indian, and Arabic ones, and c) the use of metaphysical questions (about death, the soul, time, eternity) to move from scholarly disquisition and criticism towards story, in the form of parable, tale and critical fiction, or combinations thereof. Which particular texts illuminate the form? Wessells : “Kafka and His Precursors”, “The Garden of Forking Paths”, “Death and the Compass”. Walker : “A Problem” (on Don Quixote), “The Enigma of Edward Fitzgerald,” “The Dream of Coleridge,” and “Kafka and His Precursors” would make a good start. Most of the pieces in Other Inquisitions illuminate the form of the critical fiction in some way. It is significant how often Borges wrote about Don Quixote, itself perhaps the longest and greatest critical fiction, which takes as its target the entire chivalric tradition. If you compare “Partial Enchantments of the Quixote,” Borges’ essay about the metafictional aspects of Don Quixote, and “A Problem,” a critical fiction on the same book, the difference between an essay and a critical fiction immediately becomes clear. In both pieces Cervantes’ book has been scrutinized deeply, but in “A Problem” Borges moves beyond what normal literary criticism can do. Does the work of Borges help to identify distinctions between the metafictional and the critical fiction? Wessells : Are you looking at the teacup or the world of which the teacup is part? For me, metafiction implies a narrower, reductive purpose, whereas the critical fiction intends not only to illuminate a particular work (or body of work) but also to place that work in a wider context. Walker : The particular comparison I indicated above certainly helps to identify such distinctions. In “Partial Enchantments of the Quixote,” Borges discusses Cervantes’ metafictional strategies, showing how he makes the text echo within itself by using himself and his readers as characters in the story that the author continues to write and the reader continues to read, even as the story depends upon their presence inside it. The echoes operate within the immediate reading/writing area. In “A Problem” Borges orchestrates echoes among Don Quixote and other texts and landscapes that Cervantes himself probably did not know, because they were so remote or chronologically unavailable, any better than the reader. The echoes operate within an enormous, almost cosmological space, as though they were taking in all the books ever written and all the landscapes ever seen, as well as the implicitly included space of writer and reader. Another way of distinguishing between metafiction and critical fiction is to say that in metafiction, it is not necessary to refer to another particular text, although this can be done (see Flann O’Brien); but in a critical fiction such a reference must be made as it constitutes a crucial pole around which the fiction is built. Walker : How do you read “The Garden of Forking Paths” as a critical fiction? Wessells : I read Forking Paths as a critical fiction of spy stories (Buchan and Chesterton), of the literature of WWI, of orientalism and chinoiserie, and of inevitability; and, like Borges at his best, of the writings of Borges himself. But more importantly, I read Forking Paths as a landscape architecture of the critical fiction, that is : a practical application of the architectural theory of the form. Carefully selected citations (to make a distinction between real and imaginary texts is largely beside the point here), attention to narrative form, and the collision of seemingly incompatible notions. I would also add the effect of suddenly altering the scale, as in the formal perfection of the frame created by the first and last paragraphs of the story. Walker : Do you see (and if so, how?) the critical fiction as related to the tale about a magical, unknown or lost book, considered as a genre in itself? Wessells : The motif of the mysterious book — lost, dangerous, unknown, magical — is powerful enough to define a vast and sprawling genre (the delineation of which is wonderful fun but outside the scope of this forum). It is surprising how many imaginary books appear in critical fictions (the enumeration of these titles is within the scope of this forum and will be great fun*), or, rather, it is not surprising, as the form is inherently suited to comment upon this genre. This relates directly to the primacy of the book in the writings of Borges. Walker : How do you understand Borges’ intention in writing critical fictions? Wessells : To me, his work is all about reading in the broadest sense: about attention and comprehension. So that the exploratory aspects of his writings are the flowering of a reader’s thought. The critical fiction, for me, is a mode of thinking about books and writings, of answering the questions that persist after essays and lectures have been completed or exhausted. * a descriptive catalogue of imaginary books in critical fictions will be the subject of an upcoming post. 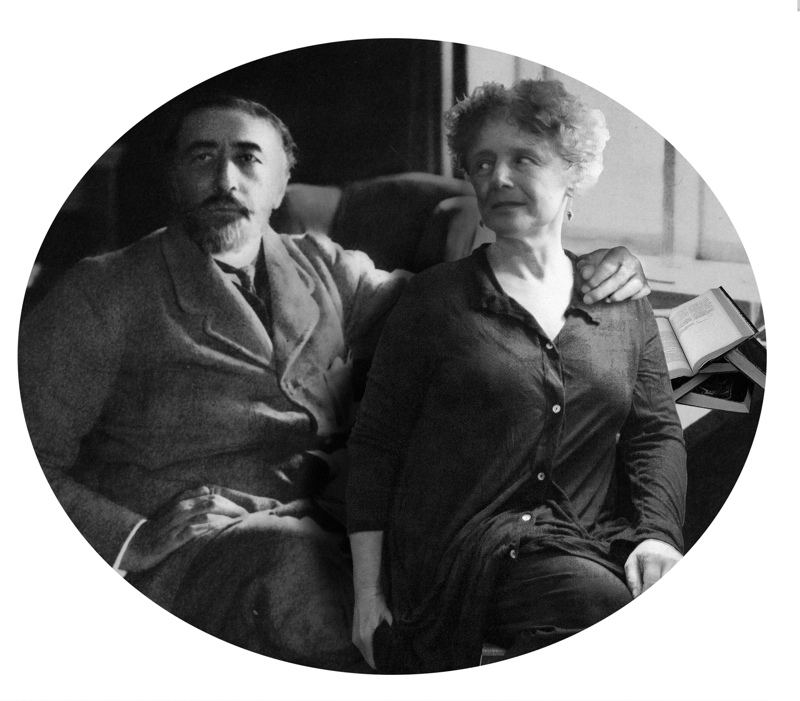 Original frontispiece portrait of Joseph Conrad and Wendy Walker by Joanna Ebenstein. 128 pp. Oblong 6-1/2 x 9-1/2 inches. Twenty numbered copies will be specially bound by hand for subscribers and signed by the author and artist (details upon request). (plus postage : $5.00 in U.S., $15.00 overseas). Trade discount available. Special offer until 30 September : $22.50 includes shipping in U.S. for prepaid advance orders. MY MAN is an original collection of 8 critical fictions on Joseph Conrad’s Nostromo, King Lear, Olaudah Equiano, Harry Mathews, and other writers and texts. The critical fiction is a literary mode that takes as its subject another literary work and treats of that work’s construction, obsessions, and sources in narrative and poetic, rather than expository/critical terms. Wendy Walker is one of the chief proponents of the critical fiction today ; some of her predecessors include Jean Rhys, Jorge Luis Borges, Angela Carter, and Guy Davenport. To discern the influence of an earlier text is not sufficient grounds to identify a literary work as a critical fiction (except in the broadest sense of the subtitle of this project, that all fiction is critical fiction and addresses earlier texts). To discern traces of influence in a literary work is analyzing seed and soil and climate, not eating the fruit and experiencing the author’s art. These are in fact two modes of reading that both have their purpose; sometimes they are narrowly linked — but not always. This topic came up during a recent conversation about Joseph Conrad, when I mentioned that Guy Davenport noted clear textual and structural connections between Dickens’ Dombey & Son and Conrad’s Chance (in the essay “The Critic as Artist” cited earlier). It is always interesting to find influences and tastes and echoes of earlier works, for all writers are readers; but the points Davenport made do not make of Chance a critical fiction as we can identify Wide Sargasso Sea or “Belinda’s World Tour” as critical fictions. And then, of course, the conversation became even more interesting, as it always does when author Tom La Farge is talking about books: he noted similarities between key passages of Poe and Conrad. — Edgar Allan Poe, “The Man of the Crowd”. — Joseph Conrad, “Heart of Darkness”. This post advances the discussion of critical fiction only sideways , perhaps, but to hear such echoes enriches our experience of literature and our knowledge of its continuities. Tom La Farge is one of the most attentive readers I know, and our conversations over the years have been rewarding. One of his remarks about the Magic of Class in American literature helped me to shape “Appraisal at Edgewood”, my critical fiction of Little, Big by John Crowley. 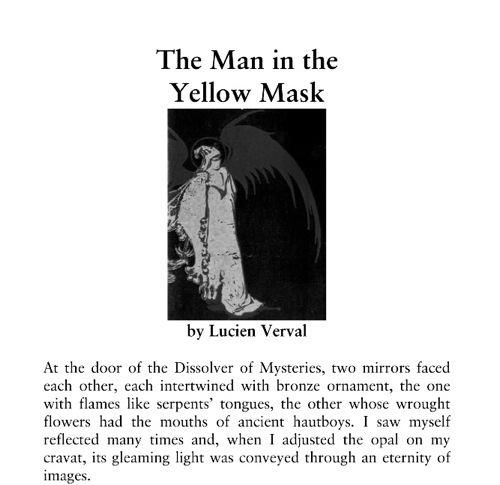 Follow the link to read the story, The Man in the Yellow Mask by Lucien Verval (pdf with illustrations : 1.7 Mb) ; « criticalfiction.net » extends its thanks to the author. Understand that none of the following is required to appreciate the story ; these notes are offered by the editor under the headings of Technique & Allusion. 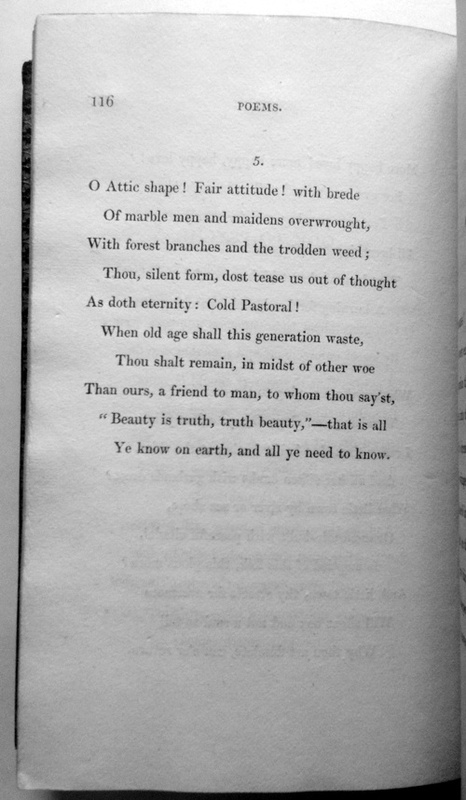 Thomas Dilworth, writing in the TLS for 22 April 2011, discusses Keats’ poem “Ode on a Grecian Urn”, written in May 1819 (and shown above in the first edition of Lamia, Isabella, The Eve of St. Agnes, and Other Poems, 1820). “Scholars once wondered whether Keats had in mind a specific urn or sculpted frieze, but long ago gave up trying to discover one. There is, however, a specific and identifiable work of art that Keats is using as his model and source, and is implicitly referring to. It is not a work of visual art, however, but a poem : Shakespeare’s “The Phoenix and the Turtle”. While the citation of the Keats poem in the essay is not terribly precise (many unnecessary capital letters in the closing lines), Dilworth makes a strong case for the intertextual nature of the Ode: “Shakespeare supplies the essential terms of the paradox, and he supplies an urn. He establishes that Beauty is Truth or, rather, that each is the other and points to eternity as the context in which the apparent contradiction is resolved.” Dilworth’s aim is to elucidate meaning and is not, fundamentally, reductive. The “Ode on a Grecian Urn” must now be classed as a precursor of the critical fiction : allusion to the poem by Shakespeare is inextricable from the structure and meaning of the Ode. This example emphasizes a key point about the critical fiction form : above all, the writing must function as an independent work of art. The power and poignancy of Keats’ poem is only increased by deeper understanding of the well from which some of its waters were drawn.